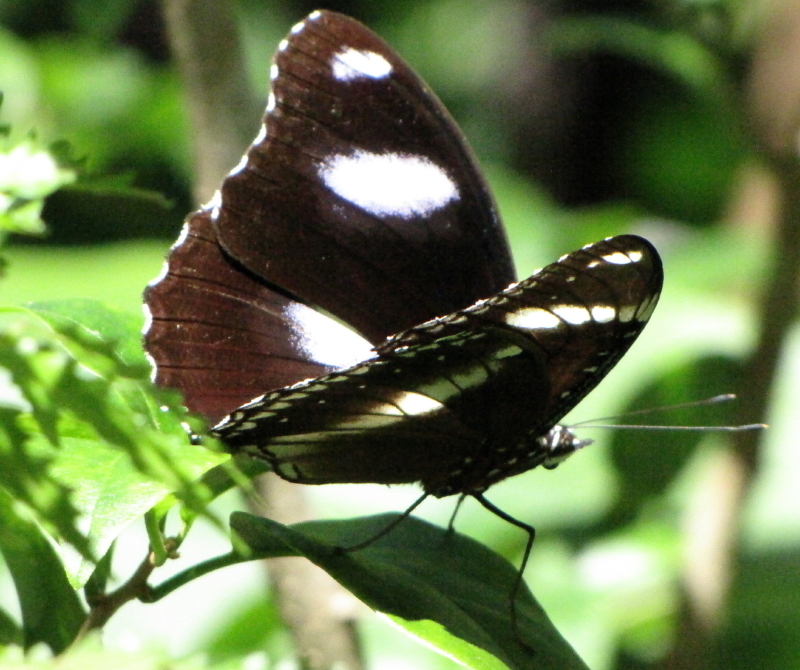 North Queensland is particularly rich in butterflies, with more than 270 of Australia’s 420 described species occurring here. 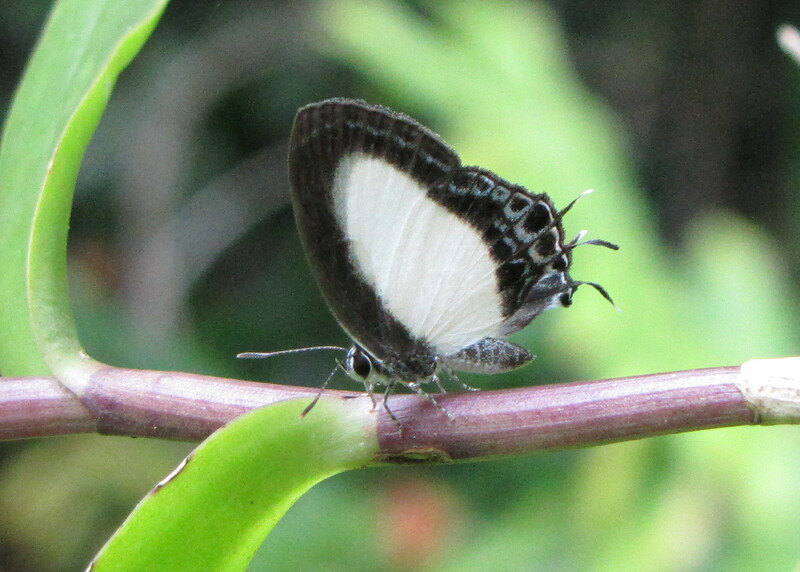 The Wet Tropics rainforests are the best places to find butterflies, and many species complete several generations per year, so most can be found throughout the year, but many adults are most abundant at the end of the wet season. 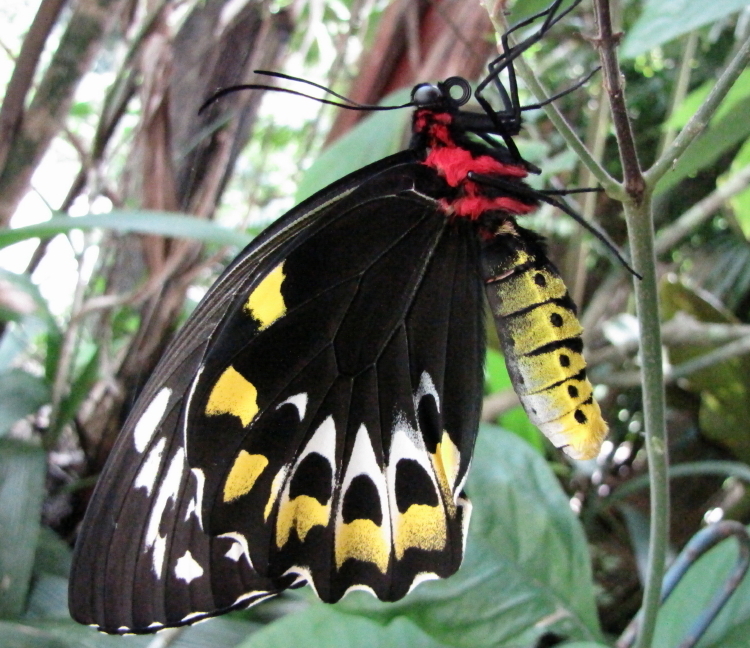 The largest species is the Cairns Birdwing (Ornithoptera euphorion), with the females reaching a wingspan of 125mm. 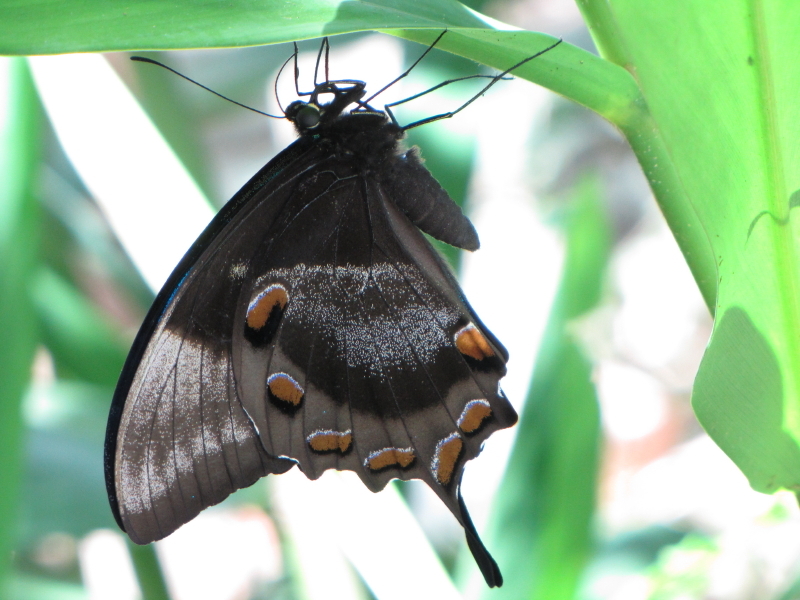 The caterpillars incorporate the plant toxins in their bodies, and the adult butterfly is distasteful to predators, too, which allows them to sail leisurely through the air, whereas the Ulysses butterfly (Papilio ulysses) has a fast, erratic flight and always closes its wings when resting, exposing only the cryptically patterned underside. 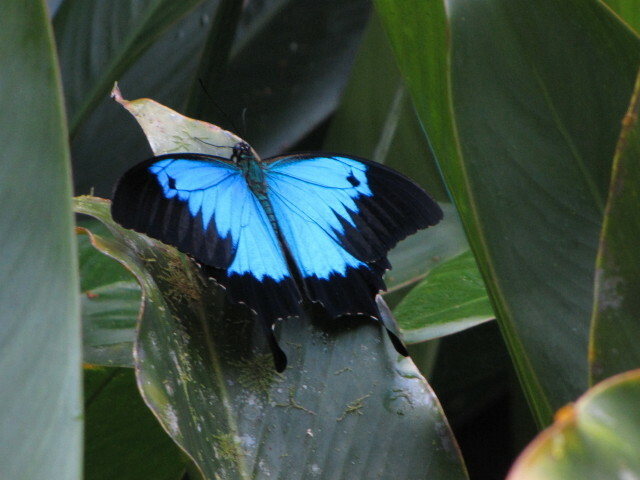 I was very lucky to observe this one, which must have just emerged from its pupa: it sat for several minutes with outstretched wings, and when it flew off, it fluttered rather clumsily low to the ground. 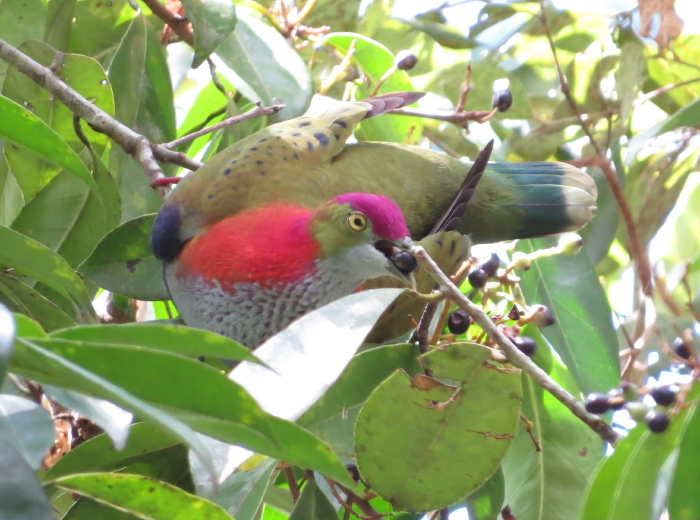 A short time later, she was discovered by a male! 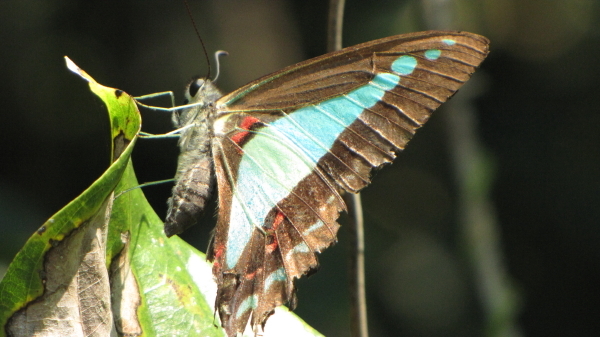 Blue Triangle (Graphium sarpedon) and Green-spotted Triangle (G.agamemnon) rarely stop to settle, flying powerfully and erratically. 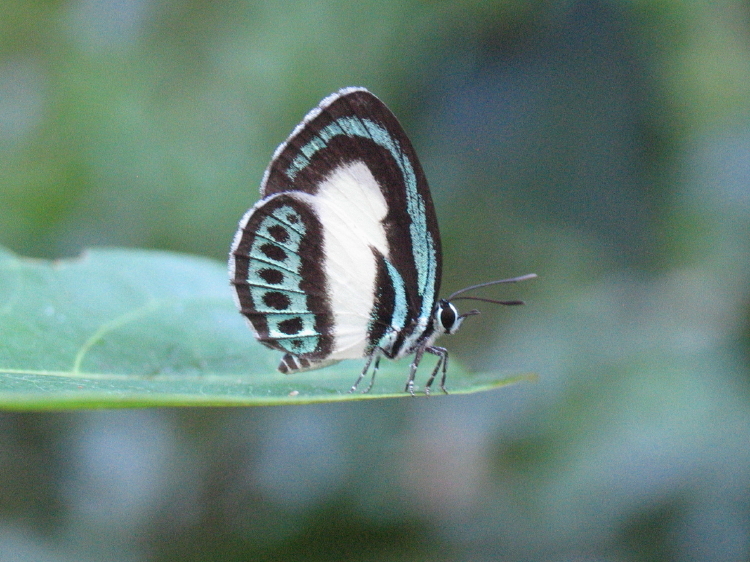 The Large Green-banded Blue (Danis danis), a smaller species, prefers the darker, shady areas of the forest. 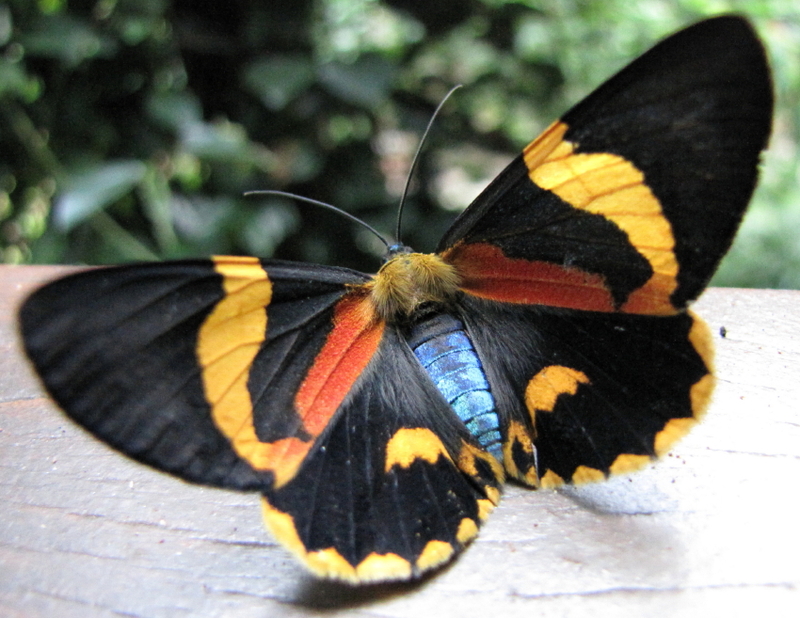 The aptly named Orchid Flash (Hypolycaena danis) can often be seen around our Dendrobium and Cattleya orchids. 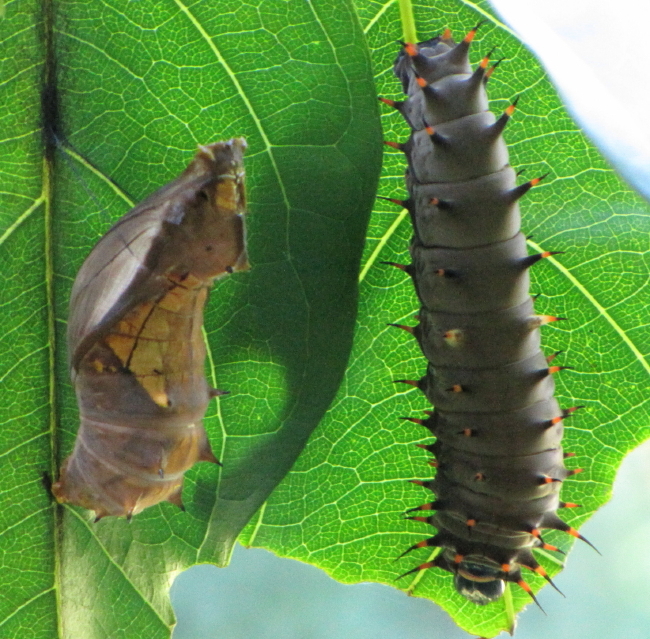 The caterpillars are short and chubby and have exactly the bright green colour of the leaves, so are very hard to spot. Usually, I only discover them when the damage to the plant becomes obvious. 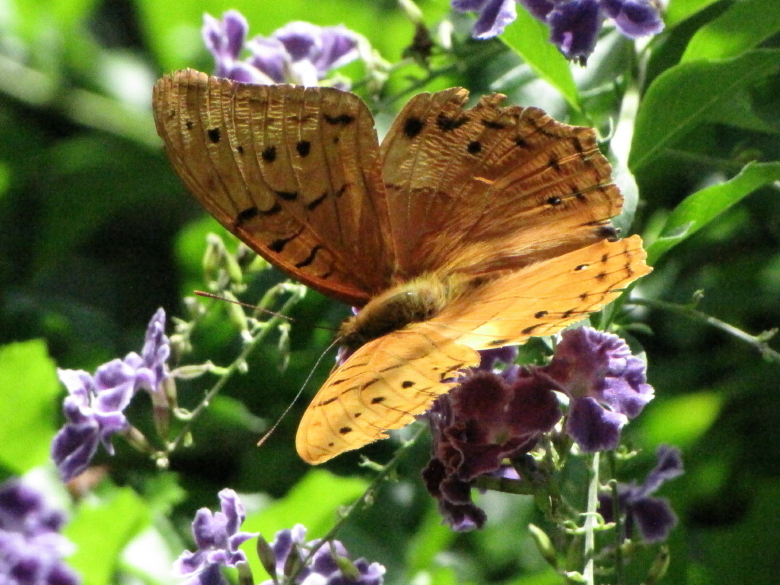 Since we do not want to harm all those beautiful butterflies by catching them with a net, identification is a slow process, but we will not run out of new species to add to our list for a long time.